ACME Fence Services, Inc. | The sign of Quality and Service! The sign of Quality and Service! ACME Fence Services is a locally owned and operated company. We have established a reputation for honesty and integrity and we assure only the best installation using quality materials and workmanship. 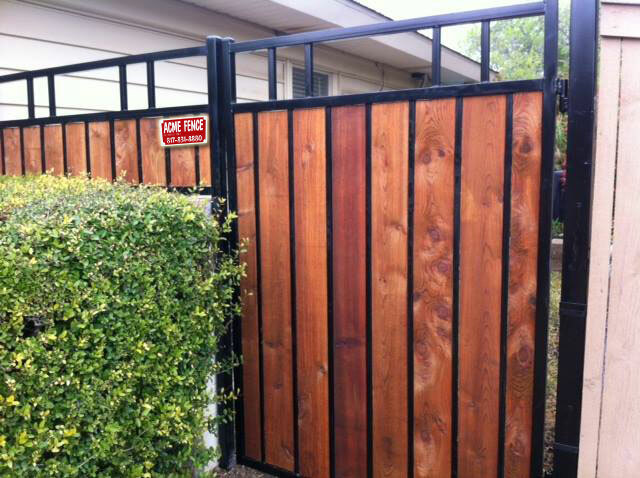 Each of our crews specialize in a particular style of fence. These include residential and commercial chain link, custom wood fence, ornamental iron, and automatic gate operators. Our commercial customer base includes city entities, school districts, general contractors, local business, and thousands of satisfied individuals. Customer satisfaction is our #1 priority! We are very proud of our reputation due to the commitment, hard work, professionalism, and expertise from all of our employees. Quality, competitive pricing, and customer satisfaction, are the key concepts that separate Acme Fence from other fence companies.